Richard Brook, for many years our Conservation Officer, died, aged 74, a year ago on 20 April, 2017. I showed some of his slides of local wetland habitats on members’ night, including this surprisingly open view of the top end of Newmillerdam, as it was in 1973. 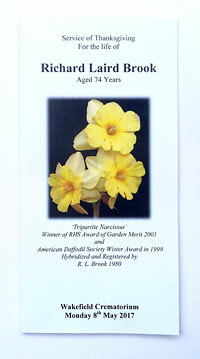 In the 1980s, Richard ran a commercial nursery specialising in daffodils and developed the award-winning ‘Tripartite Narcissus’. 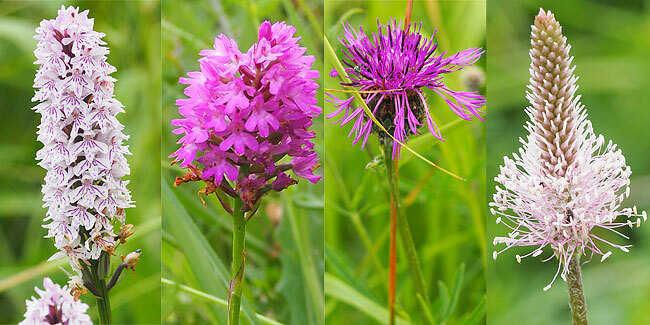 It has three flowers on each stem and is still available globally. Last year it was exhibited at The North of England Horticultural Society’s Spring Flower Show at Harrogate. Richard’s Tripartite Narcissus on the Order of Service from his funeral. A friend of Richard’s from the Daffodil Society laid some on his coffin at the end of his funeral service. By coincidence in yesterday’s Gardener’s World, on BBC2, Nick Bailey did a piece on daffodil breeding, interviewing Johnny Walkers, Honorary Vice-President of the Daffodil Society at Hever Castle, Kent, so, as I’d been in touch with him via Twitter, I told him of the coincidence of it being the anniversary of Richard’s death. “I hope it was a fitting tribute,” he tweeted in reply. 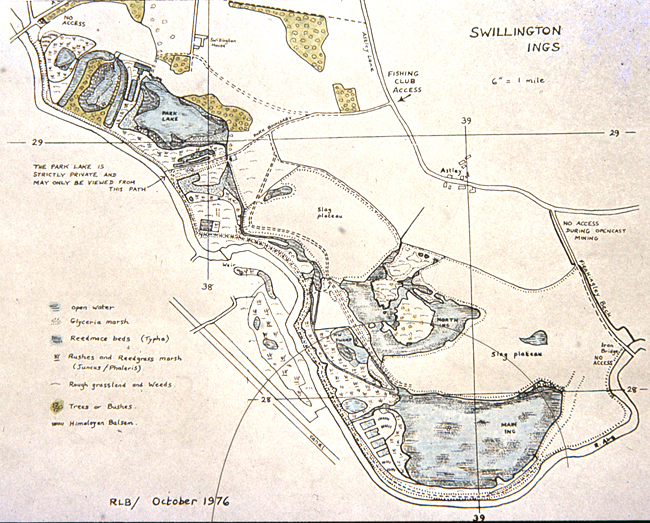 Richard was a pioneer in habitat mapping; this method of recording habitats wasn’t adopted by Natural England (then the Nature Conservancy Council) until some years after he had first used it to record local wetlands. I’ve been making a start on archiving the colour slides taken by Richard Brook (1943-2017), for many years the Conservation Officer of the Society. 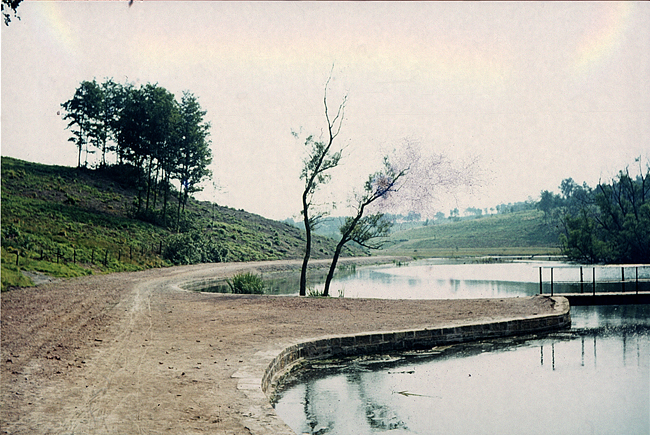 He photographed the East Ash Lagoon at Leventhorpe from the lagoon’s northwest corner on Sunday, 2 September, 1973. 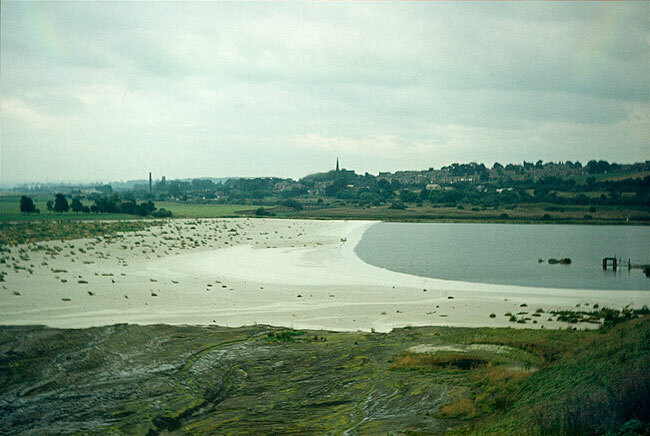 He could see the potential of these lagoons as nature reserves and he documented every one of them – along with subsidence flashes and sand quarries -within five or six miles radius of Wakefield, so his collection of slides form a unique record of post-industrial West Yorkshire. 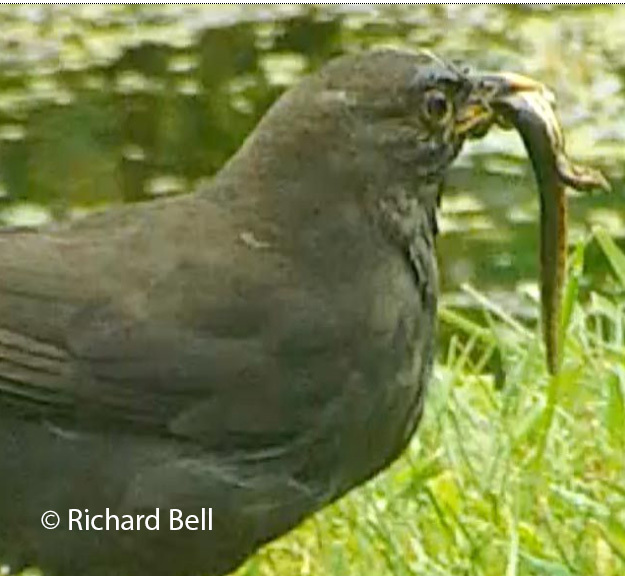 I’m putting together a small selection of his slides for members’ night. 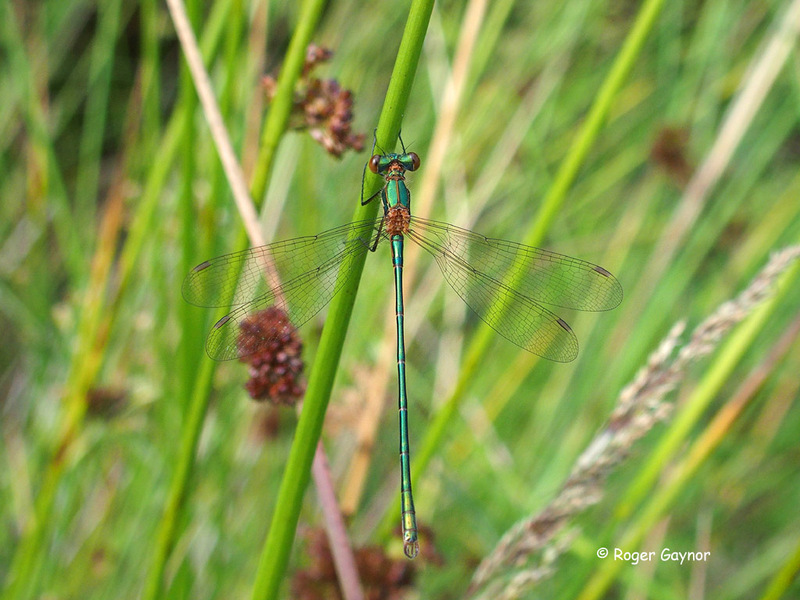 A few more photographs from our field meeting at Potteric Carr earlier this month: an emerald damselfly resting on a rush stem at the dragonfly ponds. 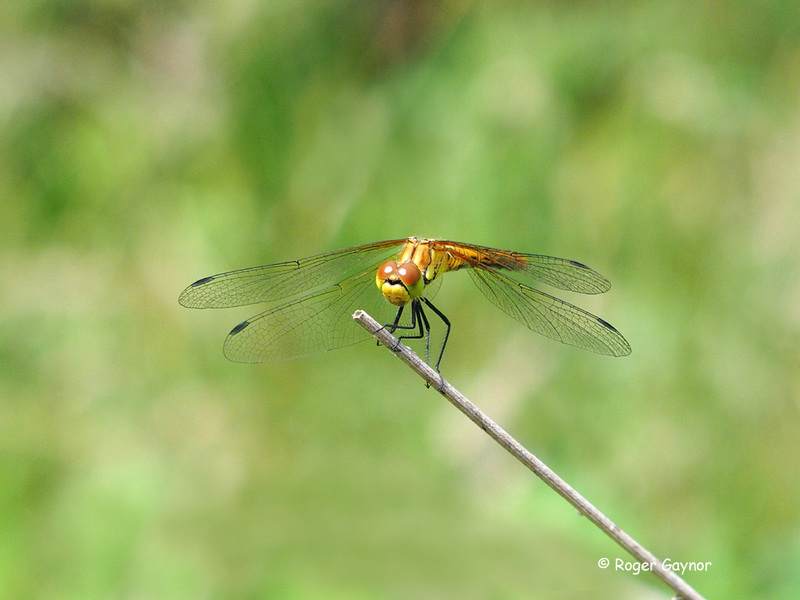 A more unusual angle on one of the dragonflies. 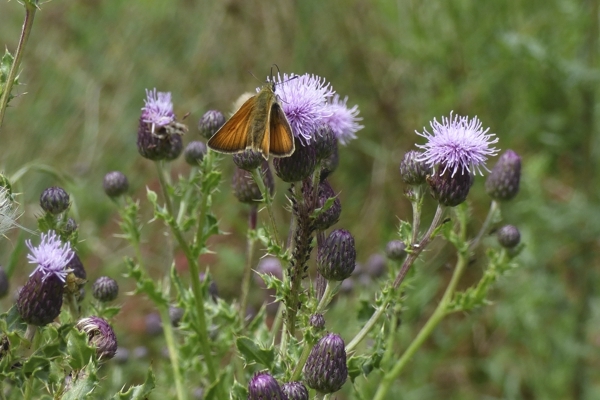 In close up, you can see that perennial sow-thistle is covered with orange-tipped glandular hairs. 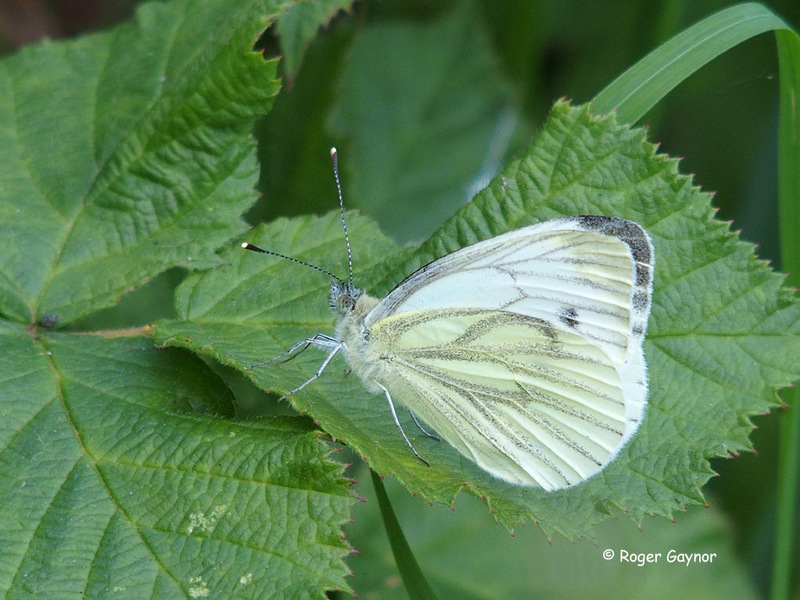 Green-veined white on bramble leaf. Highlights of our July field meeting at the Yorkshire Wildlife Trust Potteric Carr reserve included a female marsh harrier hunting over Huxter Well Marsh; such a regular sight that it did little to disturb the herons, little egrets, lapwings, little grebes and great-crested grebes on the lagoon. 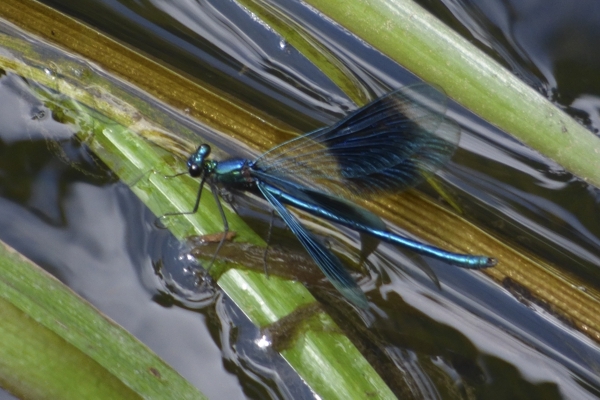 We spent most of our morning in Loversall Field where the dragonfly ponds attracted banded demoiselle, emerald, common blue and blue-tailed damselflies and four-spotted chaser and common darter dragonflies but the star of the show was a male emperor dragonfly, Britain’s largest species. 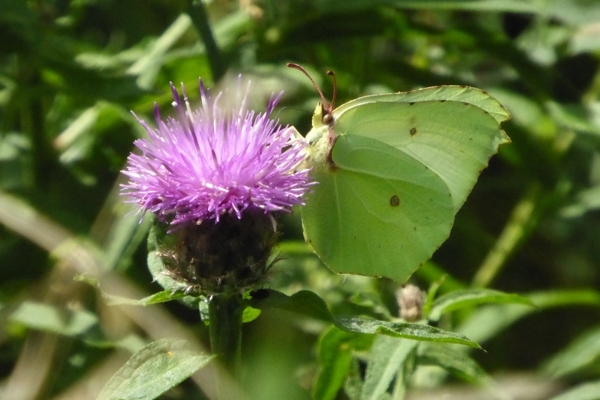 Skippers and ringlets were the most frequently seen butterflies but we also recorded commas, meadow browns, single male and female brimstones and a red admiral. 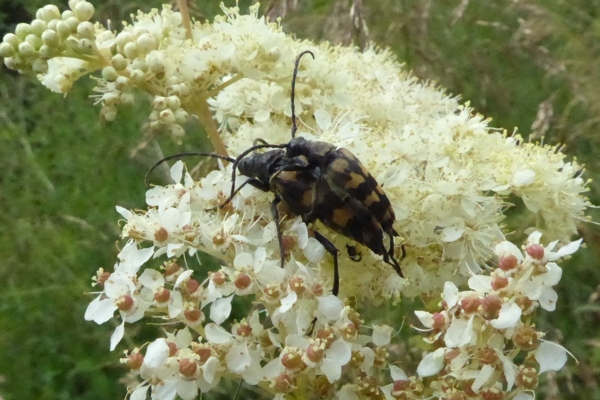 In addition to four-banded longhorn beetles we saw soldier beetles, Rhagonycha fulva and click beetle. 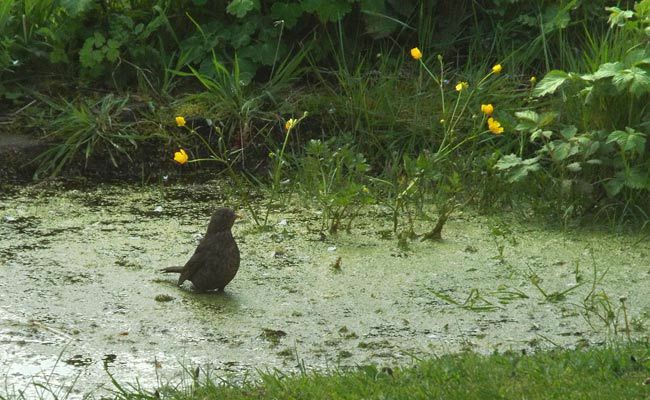 Whirligigs were gyrating on the surface of the ponds, with great-crested newts coming to the surface amongst the pondweed. 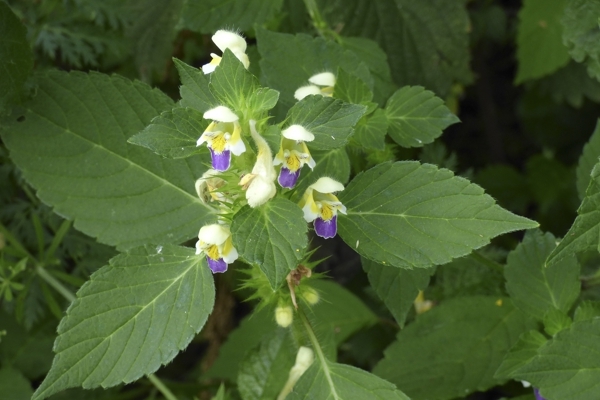 Wild flowers included yellow-wort and this large-flowered hemp-nettle growing in the wild flower meadow area by the visitor centre. Richard giving the conservation officer’s report at a meeting in the Unity Hall, February, 1981. 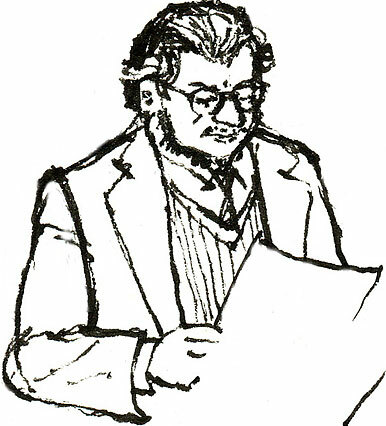 Sketch by Richard Bell. Richard Brook, conservationist, plant breeder and 60s music fanatic, who joined the Society in the 1960s and served as excursion secretary and later conservation officer, died on 20 April, aged 74. Extracts from his diary (below) were compiled by Richard’s second cousin, Ann Brook and read at his funeral on 8 May by her sister Philippa. The ‘Tripartite’ mentioned in the May entry refers to his award-winning ‘Tripartite’ narcissus, which he developed in the 1980s when he ran a commercial nursery specialising in daffodils. 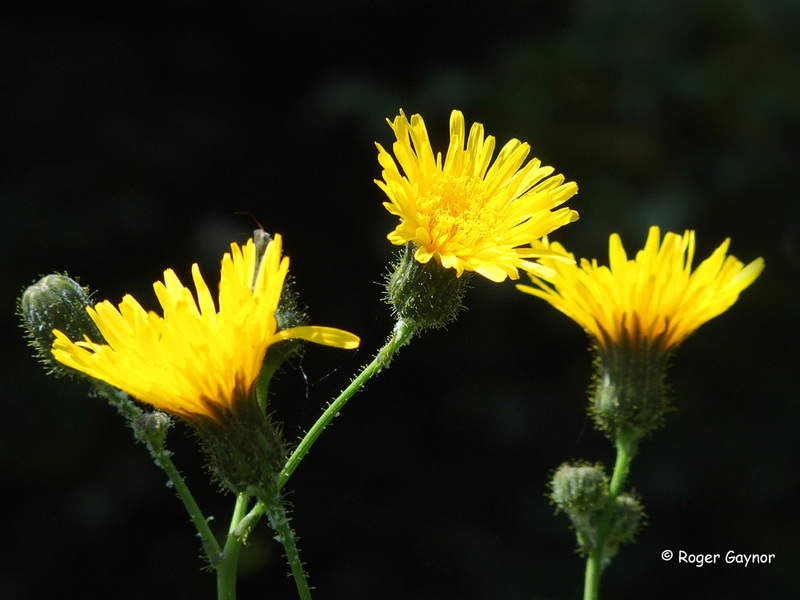 The Tripartite has three flowers on each stem and is still available globally. Last month it was exhibited at The North of England Horticultural Society’s Spring Flower Show at Harrogate. 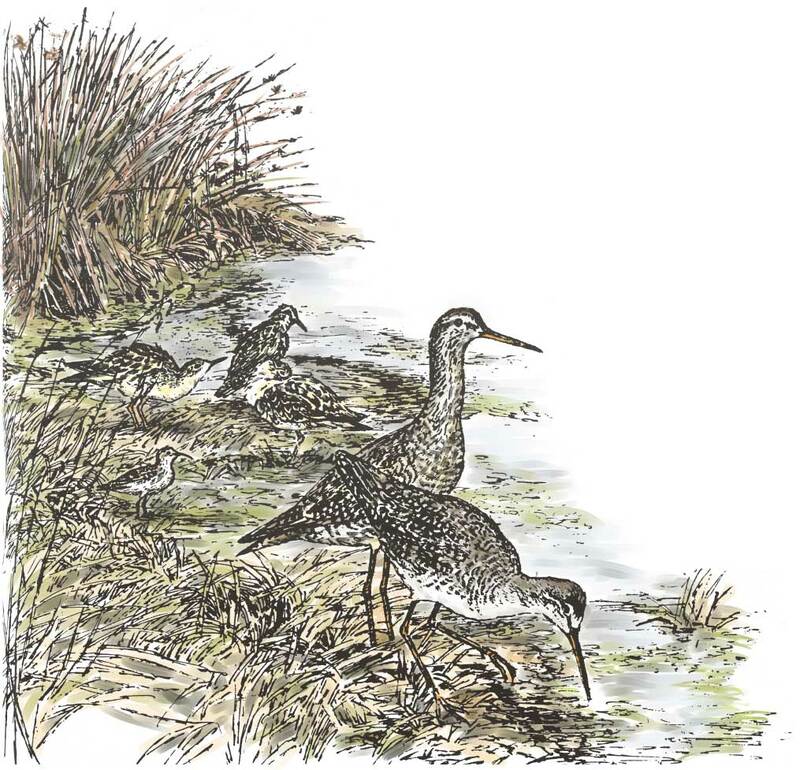 In the 1970s, he compiled the Society’s bird reports and a survey of the Aire Valley Wetlands. 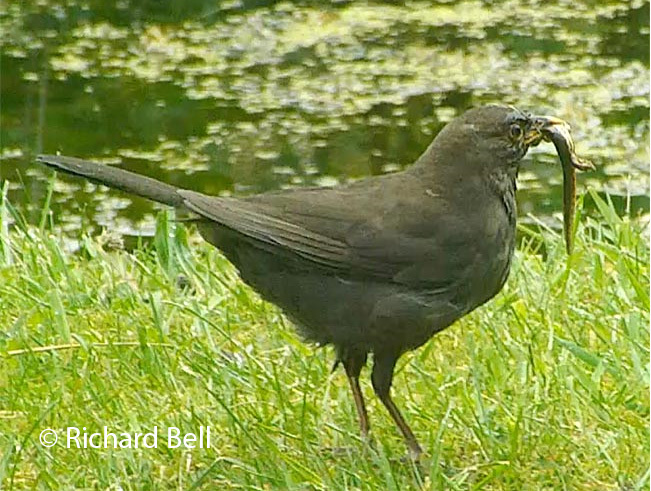 Thanks to Richard’s family, we now have a limited number of copies of Birds Around Wakefield 1974-1979 and Aire Valley Wetlands available. 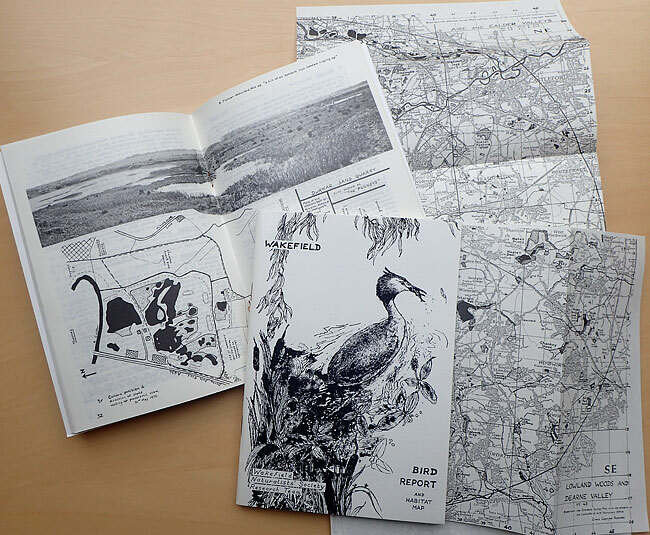 The habitat maps, which Richard compiled by studying aerial views and making numerous field visits, were ahead of their time. We’d also like to thank Richard’s family for passing on his photographs, which form a unique record of the post-industrial landscape of the Aire and Calder Valleys around Wakefield. Sandal Brickworks, 9 September, 1973. Heard nuthatch in Wakefield Park. Cloudy, cool, drizzle after dark. Sitting in a laurel bush. 19th of May. Blossom out! Tripartite faded in the heat and drought. Young Goldfinch came to the seed feeder. Robin singing an autumn song. First picking of Victoria plums. Cloudy, cool, slight North breeze. Sparrow hawk, hiding in the pear tree. Evening dull, with light rain. Buzzard over the garden again. Pair of jays came to the water bowl. White frost, sunny, calm and cold. 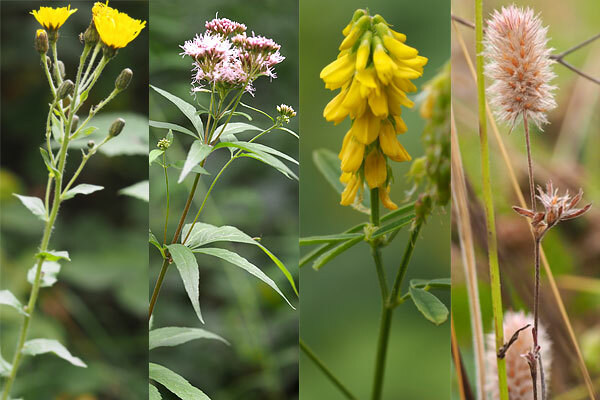 A leafy stemmed hawkweed, common valerian, ribbed melilot and hare’s-foot clover. Field meeting, 14 August 2016: The Ashfields, between Heath village and the River Calder (OS ref. 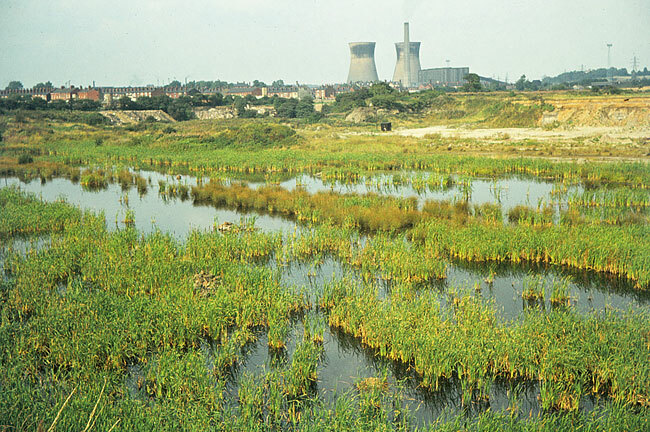 SE 353 206), were settlement lagoons for the pulverised fuel ash from Wakefield power station which was decommissioned in 1991. 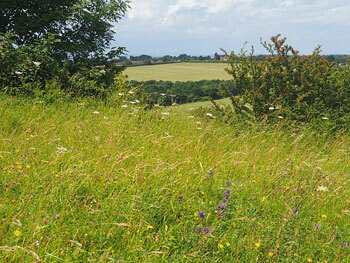 In the past thirty or forty years the process of natural succession has transformed them from silty open ground to orchid meadow and then from scrub to woodland. 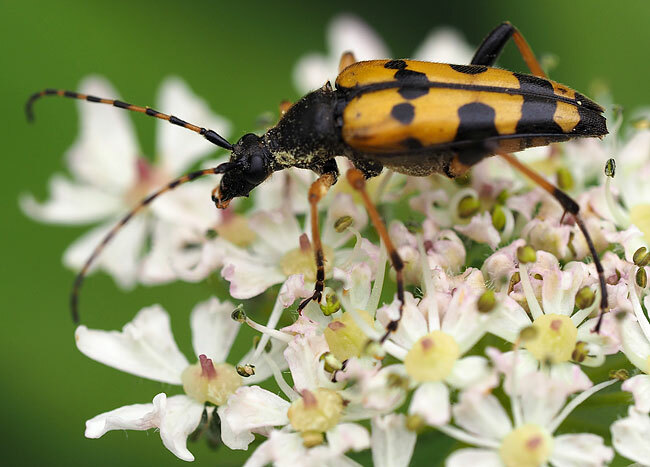 Two longhorn beetles, Stranglia maculata, rest on umbels of hogweed and in a sheltered clearings and there are a few speckled wood butterflies but the most common and persistent insect is the mosquito. The Half Moon (SE 358 208) between Heath and Kirkthorpe is a cut-off meander of the Calder. A hundred or more whirligig beetles gyrate in a group on the surface close to the bank. Branched bur-reed grows amongst sweet-flag. 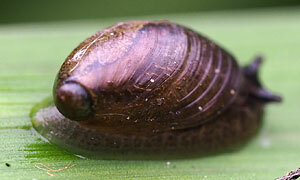 Amber snail, probably Succinea putris. Amber snails graze on the sweet-flag. These snails are unable to fully retract into their shells. Their lower tentacles are much reduced.